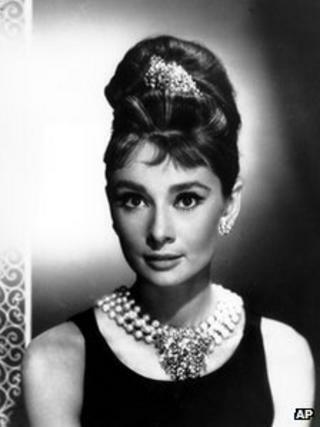 Audrey Hepburn's 1961 film Breakfast At Tiffany's is to be preserved as part of the US National Film Registry. The Oscar-winning film is one of 25 titles being added to the registry for its significance to American culture. Based on Truman Capote's novella, it stars Hepburn as Holly Golightly - a free-spirited goodtime girl with an incurable romantic streak. Clint Eastwood's Dirty Harry, baseball film A League of Their Own and The Matrix are also among the new entries. Some 600 films are now on the list, which represents "important cultural, artistic and historic achievements in filmmaking". Established by the Library of Congress in 1989, the registry was set up under the National Film Preservation Act. The films are chosen annually after nominations from the public and in consultation with the National Film Preservation Board. The Library of Congress then works with film studios to ensure original copies of the selected movies are kept safe. The oldest title being preserved in this year's selection is boxing film The Corbett-Fitzsimmons Title Fight, which dates back 115 years to 1897. Film curators said the movie helped establish the film industry as a successful business and with a running time of around 100 minutes, became the longest movie ever produced at the time, showing the full course of the fight. The 1992 film A League of Their Own has received many public nominations for the film registry over past years. Starring Geena Davis, Tom Hanks, Madonna and Rosie O'Donnell, it tells the story of the All-American Girls Professional Baseball League. Other films that made the registry included 1983's A Christmas Story, James Stewart's 1959 film Anatomy of a Murder and 1957's 3:10 To Yuma. "These films are not selected as the 'best' American films of all time, but rather as works of enduring importance to American culture," Librarian of Congress James Bilington said. "They reflect who we are as a people and as a nation."